If you have bald patches or very thin hair on some parts of your head, but healthy hair on others, scalp reduction surgery is a treatment that may be able to help you. Like any operation, it can cause physical strain and isn't suitable for everyone, but it has a high success rate and the results can be dramatic. Who Should Consider Scalp Reduction Surgery? Undergoing surgery should never be taken lightly, so scalp reduction surgery is only appropriate for people who are likely to experience significant benefits. Your doctor will be able to help you decide if it is appropriate for you. If you have a Hair Loss condition that means you will eventually lose all of your hair, the benefits of scalp reduction surgery may be small and only temporary. If you are losing hair on your crown, the scarring from surgery is hard to hide. If, however, you expect to go bald only in the middle of your scalp, surgery like this could mean that you can enjoy a full head of hair throughout your life. Scalp reduction surgery is most effective in people who have Scarring Alopecia, such as burns victims. In these cases, the damaged part of the scalp can often be completely removed, restoring the appearance of the head to normal. The NHS normally funds scalp reduction surgery in this situation but not in others. How Does Scalp Reduction Surgery Work? There are two forms of scalp reduction surgery. In some cases, a narrow strip of skin on the scalp can be removed and the skin simply stretched across from each side and stitched back together. Where a larger area of skin needs to be replaced, or where the skin is very tight, tissue expansion can be used. Tissue expansion is a process that takes several weeks and will require repeated visits to your doctor. It involves inserting a balloon under the scalp (a relatively minor operation in itself) and gradually inflating it. This prompts the skin on the scalp to stretch, so that eventually there's enough extra skin (with healthy hair follicles) to stretch across the gap when the main surgery is performed. The balloon will then be removed. Scalp reduction surgery can normally be done under a local anaesthetic. If you find it particularly traumatic, you can request sedation, which won't knock you out but will make you feel calm. After your surgery you will need to protect your scalp with a special cap for the first few days of the healing process, and you will be given antibiotics to prevent infection – it's important to finish the course even if you feel well. 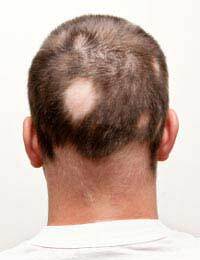 It is very rare for there to be long-term problems with healing after scalp reduction surgery, but everybody reacts differently in terms of scarring. Unless you go on to have an extremely short hairstyle, however, it is unlikely that anyone will see the mark unless they are looking for it. What Does Scalp Reduction Surgery Cost? Unless you are one of the very few people eligible for support with this procedure from the NHS, scalp reduction surgery will probably cost you around £2,000. It is important to check that you are being treated by an appropriately qualified, experienced surgical team, and you will usually save money by buying an all-inclusive package from an established clinic rather than paying a lower fee for the surgery alone and then being charged separately for other aspects of your care. The good news is that private packages of this sort usually come with a guarantee, so you can get follow-up work done for free if your surgery does not produce the results your surgeon said you could reasonably expect. Successful scalp reduction surgery, unlike other types of surgery for hair loss, normally only has to be done once, after which your hair loss worries will be a thing of the past. There are many more options available for people suffering from hair loss. For more information, go to our Treating Hair Loss section of this site.